Top Tips for Preventing Spring Cleaning Injuries! Believe it or not, injuries caused by household chores - particularly when ‘spring cleaning’ - are more common than you think! Read on to discover how you can prevent injury this season! After hibernating all winter we get the itch to clean this time of year. And why not? A good cleaning can tidy things up, reorganize chaos, and improve hygiene, all while lifting your spirits and your mood. 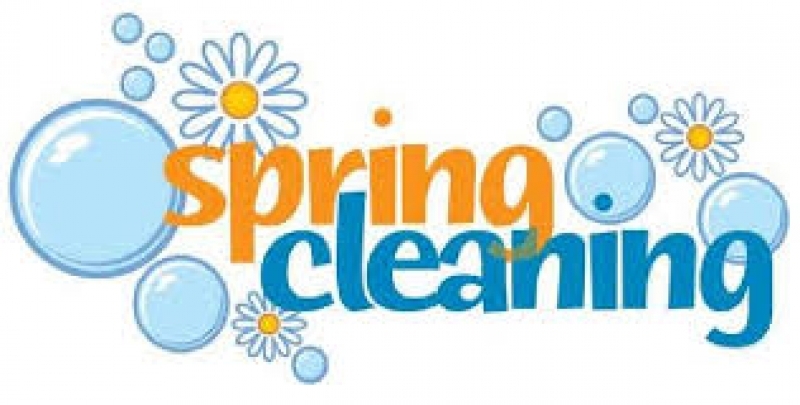 A good spring cleaning often means bending, lifting, and repetitive shoulder/arm movements - all of which can lead to significant injuries and pain. This time of year brings an influx of clients for many physiotherapists. Individuals are injuring themselves by engaging in highly repetitive cleaning tasks, from window washing, to garage clear out (heavy lifting, bending), to car washing/waxing. The biggest complaints and areas of the body affected are the shoulder, back, and neck. In addition to the desire to clean is the drive to just “get it done”. This leads to high repetition, no/few breaks, and an overall activity that many of us have not experienced throughout the winter season. Cleaning may not seem like exercise, but to your body’s muscles, joints, and ligaments, those highly repetitive and heavy tasks are just as strenuous to your body. Try stretching or going for a brisk walk before cleaning, and do not go from stationary to full steam ahead! Whether you are amongst family members or by yourself, divide and conquer! Change it up – do a bit of one task, and then another, resting as needed between, and keeping hydrated by drinking water. And whatever you do, avoid repetitive motions! Be careful & mindful to existing ‘sensitive’ areas of your body. If you are recovering from a recent injury and you are not yet 100%, don’t overdo it. Pay attention to your movements and protect those areas. Avoid back pain or strain by lifting objects (light or heavy) the right way. Load and bend your legs, not your back! All it takes is one wrong lift and twist to stop your progress and bring on pain. How Many Reps Was That? Like it or not, washing windows, washing/waxing cars, painting, and cleaning baseboards and more involves highly repetitive movements, particularly for the shoulder. Imagine it you had a ‘pedometer’ to track arm reps – wow! For your floors and more … use a mop! You do not need to be down on your knees, risking knee strain and back injury from overreaching and joint pressures. Use a mop to clean to the floor, and move your body to avoid over-reaching and subsequent shoulder and back troubles. Check in with your body throughout the task/workload. Do not wait until the end of the day or before bed to check-in and recognize the troubles that could have been avoided 5 hours ago. The cool down and stretch of key working muscles is just as important as the warm up. Don’t forget to avoid the delayed muscle soreness that could appear next day! 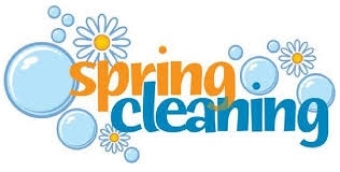 If done correctly, spring cleaning can be a great workout for your body. Happy cleaning!